Yuen Kuan Moon the CEO of Consumer Singapore, SingTel is delivering one of the opening day keynotes at the 9th annual LTE Asia conference, taking place on the 23rd-25th September 2014 at the Marina Bay Sands, Singapore. 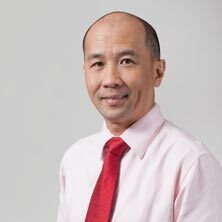 He here reveals how Singtel looks to work with OTT players, and make the best use of the bandwidth it has available. What are your broader challenges that you expect to face over the next five years? Communications service providers will have to meet ever increasing customer expectations, especially in terms of offering products and services that are relevant to customers’ needs and which they value. We also have to continuously innovate and maintain an always-connected, reliable network. Singapore is not short of bandwidth compared to many countries. What is the plan to monetize it all? Interview: Assistant Chief Executive and Deputy Director General (Telecoms and Post), IDA: “Singapore is gearing up to be the world’s first ‘smart nation’. Ms Aileen Chia, Assistant Chief Executive and Deputy Director General (Telecoms and Post), IDA is delivering the opening keynote on Day One of the 9th annual LTE Asia conference, taking place on the 23rd-25th September 2014 at the Marina Bay Sands, Singapore. Here she gives us an overview into the work of the Infocomm Development Authority of Singapore (IDA) and how it is helping take Singapore on its ‘smart city’ journey. What are the primary opportunities and challenges for your region over the next three years? The Asia Pacific region accounts for over 50% of the world’s mobile subscribers, with mobile penetration expected to reach 89% by the end of 2014. Fuelled by increasingly affordable smart devices, the rate of adoption of mobile broadband is increasing alongside with mobile penetration as networks are being upgraded to next generation platforms. Additionally, 44% of global fixed broadband subscriptions are from the Asia Pacific with some Asian countries such as Singapore having introduced high speed broadband network such as fibre broadband. These indicate that there are both opportunities and challenges in the region, as there is a large and still-growing data-hungry consumer base.